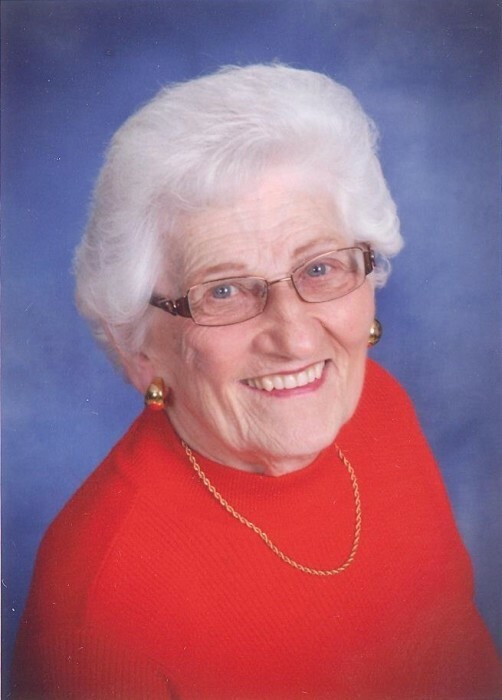 Pauline Lipe, 91, of Hillsboro, IL passed on Sunday, January 27, 2019, at her residence. A visitation will be held on Tuesday, January 29, 2019, from 5:00 p.m. to 7:00 p.m., at St. Agnes Catholic Church in Hillsboro, IL with Prayer Service at 4:30 p.m.. Funeral mass will be held on Wednesday, January 30, 2019, at 10:00 a.m., at St. Agnes Catholic Church, Hillsboro, IL. Father Daniel Willenborg, Pastor of St. Agnes Catholic Church in Hillsboro, IL, will be Celebrant. Burial will be in St. Agnes Cemetery in Hillsboro, IL. Mrs. Lipe was born on April 28, 1927, in Taylor Springs, IL, to the late John, Sr. & Agnes (Jagodzinski) Jagosh. She was a graduate of Hillsboro High School in Hillsboro, IL. She married Shirley G. “Shirt” Lipe, on April 19, 1952, in Hillsboro, IL. He preceded in death on December 29, 1988. Together Mr. & Mrs. Lipe owned and managed a liquor store. Mrs. Lipe was a member of St. Agnes Catholic Church in Hillsboro, IL & Council for Catholic Women. She had spent her lifetime in the Hillsboro, IL area. Mrs. Lipe is survived by her four sons, Greg (wife, Joyce) Lipe of Hillsboro, IL; Tom Lipe of Chicago, IL; Tim (wife, Vickie) Lipe of Hillsboro, IL; and Glenn (wife, Lisa)Lipe of Irving, IL; eleven grandchildren, Ryan (wife, Shiloh) Lipe, Neil Lipe (companion, Heather), Connor Lipe, Mark (wife, Jennifer) Seagle, Brandi (husband, Dustin) Holliday, Travis (wife, Hollie) Lipe, Tyler (wife, Jennifer) Lipe, Shane (wife, Kirstie) Seagle, Zach (wife, Nikki) Lipe, Blake (wife, Corey) Lipe & Quinn Lipe (companion, Kat); sixteen great grandchildren; three great great grandchildren; one sister, Theresa Whitley of Hillsboro, IL & two brothers, Joseph Jagosh of Tacoma, WA & James Jagosh of Ft. Myers, FL. Along with her parents and husband, Mrs. Lipe was preceded in death by one son, Clarence Lipe; three sisters, Marie Nicol, Agnes Strauber & Ludmilla Whitley and two brothers, John Jagosh & Stephen Jagosh. In lieu of flowers, the family suggests memorials to Hillsboro Fire Department, St. Agnes Catholic Church Ministry or Montgomery County Cancer Association.